Stress and High Cortisol - 8 Ways to Tame your “Fight or Flight” Response for Radiant Health - Radiant Reality | Nutrition. Healing Arts. Inspired Living. How does our body whether stress? Stressors have been a part of life life since the beginning of time and we have adaptive hormones that can help our bodies cope. Cortisol is one of the primary stress hormones that kicks in when the going gets tough. When stressful events occur, an alarm is sounded in the hypothalamic pituitary adrenal thyroid gonadal axis (HPATG). This axis will trigger the adrenals to pump out cortisol to help us adapt to the stress, and it doesn’t matter if its physical or perceived. A cortisol burst is the adaptive response that keeps us upright and going strong. When run into a problem when cortisol is continually being pumped into the body. The body is supposed to rest deeply after a strong cortisol release. When we don’t rest and recuperate from stressors, chronically elevated cortisol is the end result. While cortisol is best known for its ability as a “fight or flight” hormone, it does much more than help you run or fight. Cortisol also stimulates the liver to increase production of blood sugar and helps the body convert fats, proteins and carbohydrates into usable energy, while also helping to reduce inflammation. In other words, it has an important job but it has to be kept in balance. Cortisol is known as a “goldilocks hormone”. So like the fairytale, with cortisol, you want just the right amount at different times of the day and if you make too much, or too little, your body will not thrive the way it was designed to. Ideally you want cortisol to peak in the early morning and gradually wind down throughout the day into the night so you can sleep. When your cortisol levels are in their natural flow, you tend to feel rested in the morning, calm and collected throughout the day and ready for rest in the night. But when cortisol levels become chronically elevated, sleep becomes a challenge and stress can become overwhelming. While the focus of this article is on elevated cortisol, it is important to note that low cortisol is just as much of a problem as high cortisol. Otherwise known as HPA axis dysfunction, low cortisol levels often occur after a prolonged period of high cortisol. Symptoms often include, hormone imbalance, anxiety, insomnia, depression and low energy. Both high and low cortisol levels should be supported with lifestyle, diet and supplemental support. Identifying where your cortisol levels stand are an important step if you want to apply the proper support. If you are feeling “wired and tired” or chronically exhausted, chances are your cortisol is either depleted or over exerting. Its important not to shoot in the dark but rather gather data to support your path to healing correctly. 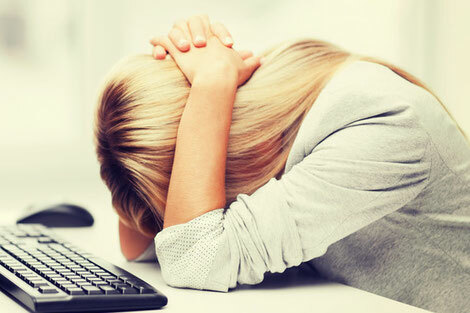 If your cortisol is elevated and you are NOT dealing with external stress, make sure you rule out chronic infection, nutrient deficiencies, toxin overload or other additional hormone imbalances such as thyroid dysfunction. It is important to identify and remove internal stressors if you want to balance cortisol in your body. 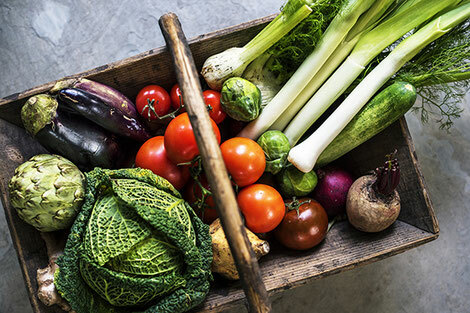 Anti inflammatory diets low in processed foods and high in antioxidants and essential nutrients will help to balance hormones and support adrenal health. Make sure to omit high glycemic foods (refined, packaged and sugary foods and snacks) and take a break from caffeine and alcohol. Include phytonutrients in your meals and stabilize blood sugar with coconut and olive oils, grass fed protein and probiotic foods like kefir and cultured vegetables. Deep breathing will activate a parasympathetic response in the body. One of the easiest ways to do this is to take 6 breaths per minute. The average person breathes in a shallow manner taking 12-18 breaths per minute which stimulates the fight or flight response. 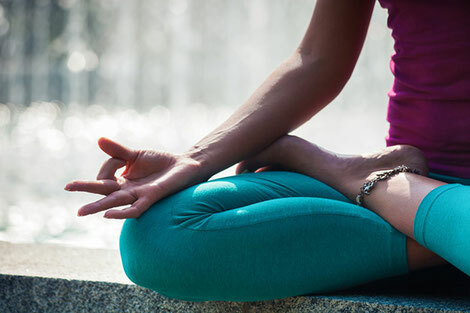 Practice slowing down the breath for 5 minutes and take note of your stress levels. Creating a daily practice is probably the most effective way to take inventory for the day. Taking time to journal and breathe will help lower your cortisol. I recommend starting your day in this manner, apart from any electronics. If you need help getting started I recommend using the guidance from a meditation teacher to get your practice on the right foot. Spending time in nature can significantly lower cortisol. This is sort of a no brainer. If you live in nature as I do, you can attest to the healing power of the earth in its most unadultrated form. 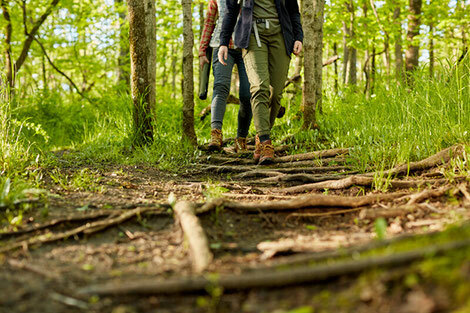 But don’t take my word for it, studies show that walking in a forest environment promoted lower cortisol, more parasympathetic nerve activity and lower blood pressure than walking in a city environment. 7. Technology that help you lower your stress. I have found a couple of tools that really help lower stress levels. I use them with my family and clients and recommend them especially if you spend a lot of time on the computer or are constantly on the go. This is a device designed to help remind you to breath and calm down. Spire is a device that uses blue tooth to manage your heart rhythm reminding you to breathe when you are not breathing or your breath becomes too shallow. This can be a great reminder when you are running around, it will kick on reminders that are sent to your phone to keep you in your center. This is another technology that you can use on your computer that allows you to monitor your heart rate variability which is a great tool for managing stress and can help lower blood pressure. While I do think it is absolutely necessary to determine whether cortisol is low or high before working with nutritional support, there are building blocks that can be put into place that will work to stabilize cortisol, low or high. Magnesium is a foundational nutrient important for countless mechanisms in the body and usually runs quite low for most people. Magnesium is especially important when high cortisol levels are at play. One of the better forms of magnesium include magnesium glycinate since glycine is a calming amino acid with high bioavailability. Magnesium baths are especially therapeutic as they both lower cortisol and feed the body. Otherwise known as cannabinol, this non psychoactive compound carries profound therapeutic capacities that scientists are just now uncovering.One of these therapeutic capacities relates to its interference with the secretion of cortisol. The effects of this interference can help with sleep, inflammation, anxiety and promotes insulin sensitivity among a myraid of other supportive measures. While omega 3 fatty acids hold many anti-inflammatory benefits, the response to stress including elevations of cortisol, epinephrine and fats are shown to be dramatically reduced by supplementation of omega 3 fatty acids. 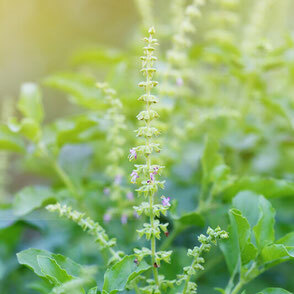 Tulsi is well known for its health promoting properties in Ayurveda. Otherwise known as a “super adaptogen”, this antioxidant rich herb is useful to modulate stress levels and blood sugar levels by stabilizing cortisol and insulin. Stressful events, both internal and external are simply a part of the journey of life. time to play, breathe, rest, and care for your body, mind and spirit! Wishing you a radiant reality!